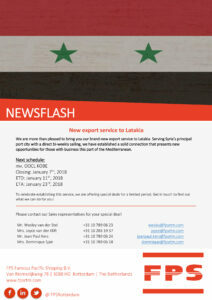 We are more than pleased to bring you our brand-new export service to Latakia. 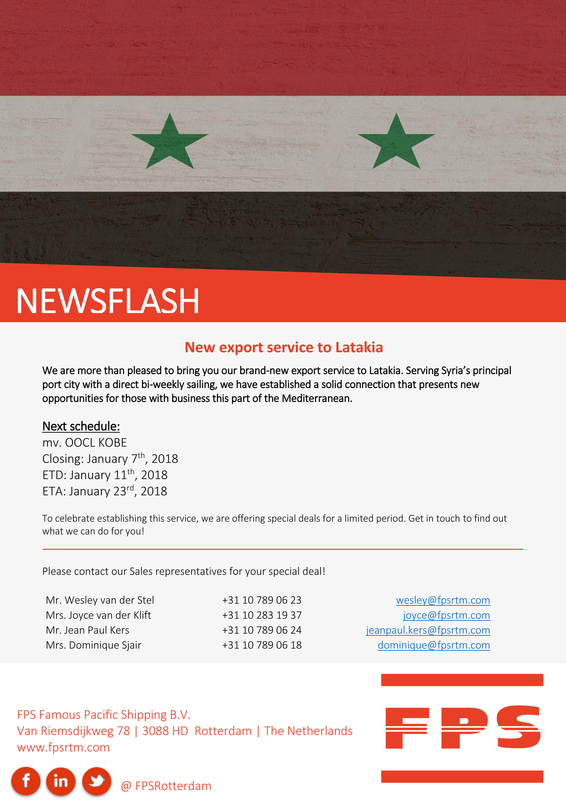 Serving Syria’s principal port city with a direct bi-weekly sailing, we have established a solid connection that presents new opportunities for those with business this part of the Mediterranean. To celebrate establishing this service, we are offering special deals for a limited period. Get in touch to find out what we can do for you! Please contact us for your special deal!